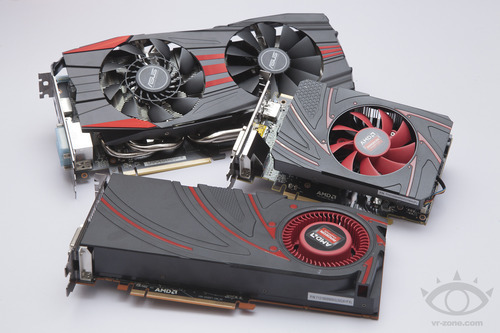 The R9 280X has the same chip that is inside the 7970 and 7970GE. Stock 280X has higher clocks than the 7970, but lower than 7970GE, so it is not very surprising that the 280X performs better than the 7970 and worse than the 7970GE. Factory overclocked versions of the 280X will be on par with or better than the 7970GE though, depending on clocks. The good news is that 280X is $300, making it $80-$100 cheaper than current prices for the 7970GE, and thus letting people with high-but-sane budgets get a powerful card for quite cheap. The 280X is a rebadge, but it is a rebadge done right. The 270X is just an overclocked 7870. It performs a little better, but the price is a little higher: 7870 can be had for $180, 270X is launching for $200. If we were getting better performance for the same price, it would be good, but the increased price makes it a neutral addition to AMD’s lineup. According to TPU, AMD will lower the price after the current supply of 7870 dries up, but until that happens, the 270X is neither a good recommendation nor a bad one. The 260X is an overclocked 7790, being sold for the silly price of $140. AMD’s own 7850 can be had for that price, and the 7850 is the better card by far. nVidia’s 650 Ti Boost can be had for $130, making it both cheaper AND much more powerful than the 260X. We will not recommend the 260X until its price makes sense: $110-$120. AMD may have forgotten that a GRAPHICS card is about GRAPHICS: Adding TrueAudio and asking for ~30% more than what a card is worth is not logical. Overall, this rebadge is mixed: 280X is good, 270X is ok, 260X is bad. What most of us are waiting for is the 290X launch, expected on the 15th. Depending on which brand of fanboyism you subscribe to, the 290X will either break the Titan, or barely outpace the 770. After a year of stagnating performance/price for GPUs, we hope that the 290X’s performance will be good, and that it will help nVidia reconsider its absurd $1000 price tag for the Titan. nVidia is not taking this rebadge+launch without a fight: It has announced price cuts for a couple of cards (660 and 650 Ti Boost), possible further price cuts in November, and maybe a couple of new cards too. With these price cuts, combined with Black Friday/Cyber Monday coming up, and followed by the traditional end-of-year sales, the next two months will be an excellent time to buy a new graphics card. Everyone loves the chaos of a vicious price war! Logical Increments will be adding the 280X, and possibly the 270X, once they are available for sale. We will be waiting for the 290X launch too. Make it a good launch, AMD!